There's a lot of uncertainty today and whether you're worried about your job, don't like your job or just want to work from home for reasons such as health or raising your children... developing entrepreneurial habits are important for us too. Is Social Owl a Scam? Please note, I am not an affiliate for Social Owl. This review has been researched with information and testimonials that are available online in the public domain. Any conclusions drawn by myself are opinions. Social Owl at it's core is a social media management tool. The Social Owl franchise opportunity however, is a plug-and-play business-in-a-box that enables you to sell social media services to local businesses. Founded in 2015 and located in Portland Maine, the founders have tapped into a unique sector of the online business industry. While most online businesses are built around things like eCommerce and affiliate marketing... which can also be good opportunities, Social Owl has created a business model that applies a similar skill-set and platform to helping local clients. If working with local clients doesn't sound appealing, you can also make some extra money online doing surveys on sites like surveyjunkie.com. You can also make money watching videos, searching the web and visiting websites with Swagbucks. Of course, those sites might provide some extra spending money but if you're looking for a full-time income that's completely online rather than building a local customer base, there are other opportunities to do that. You may not have the time or resources to find clients which is understandable. If you're stuck at work all day or unable to get out and meet potential clients, an online business you can build at your own pace is what you want. Something you can do in your spare time from home is what you need in order to get what you want. ​That doesn't mean Social Owl does't have potential, which I'll talk about more in moment. It's just that not every opportunity is one-size-fits-all. Social Owl is not a scam, although I must admit that I found that some moments during the introduction webinar reminded me of many scams I've run into. I think that's just the nature of webinars today. They're a valuable tool that's been exploited over the last few years by scammers to get you excited so you'll pull out your credit card. Social Owl is definitely legit, and to be honest... the webinar did get me a little excited. For the right person there's a significant opportunity here. Also, Social Owl is accredited by the Better Business Bureau and currently holds an A rating. After filling out a quick request for information form, I was given immediate access to about 75 minutes of introduction videos. There are 5 in total. If you're like me, the cost of an opportunity usually determines whether or not I'll look further into it. There are two prices given here and to be honest, I'm not sure which one is current. At the time of the first video, there was a time limited price of $149/month or $1500 for the year. If you missed out on that price, the regular cost would be $249/month or $2500/year. There's no date on the video though, so I don't know if that price will be current at the time you're reading this. I watched another webinar where the $149 price had been extended... and I also received an email from Social Owl that says the same. But again... I'm not sure how long that price will be available. In addition to your monthly cost, there is a reseller fee... which only applies when you sell access to the software. The franchise opportunity describes itself as a social media services business, but there are actually two ways you can make money with Social Owl. Manage the social media needs of local businesses. Resell the Social Owl software to others. Your monthly cost covers the 1st way of making money, and as mentioned a moment ago, the reseller fee only applies when you resell the software... which is $50. Not bad considering the resale price averages $100-$200 (a 100% - 300% profit margin). ​The price is one thing... but what are they actually selling? As it turns out, quite a bit actually. As I mentioned earlier this is a business-in-a-box. To start, you get access to the software, which I'll explain more about in a moment. Assessment forms (to help determine your client's specific social media needs). Samples and templates for business cards, flyers, contracts and power point presentations. Despite all of the goodies listed above, the Social Owl platform is what you're really paying for. You don't actually need Social Owl to start your own social media management business. You can just go out and do it on your own, and there are other social media management tools out there. However, Social Owl's software makes the task a lot quicker and easier, and in the long run you'd save money by freeing up time to acquire and manage more clients. I'm still undecided on whether to purchase Social Owl myself, but if I decide to set up a business like this for my daughters... It'll definitely be Social Owl that I use. Their software allows you to easily set up accounts, curate and post content (image above), add client banners to that content, set up social shopping carts and utilize things like sweepstakes, coupons and deals to collect customer information and build a social community for your clients. You also get your own branded website. 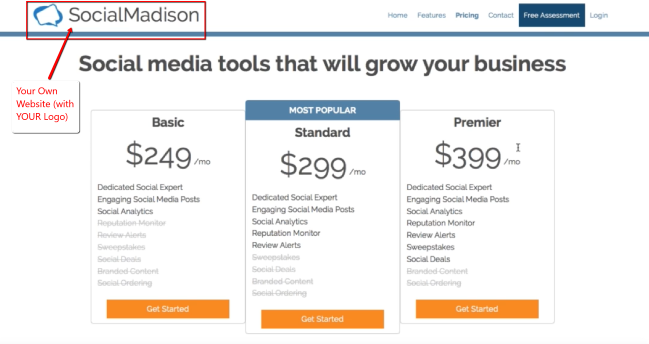 This is what your pricing page would look like, which is customizable (you can set your own plans/pricing) and your logo would go where the SocialMadison logo is in the image below. For a demontration of the softare you can check out this video. Please note... I don't necessarily endorse the following video, but it is one of the better demo's I've seen. ​So... what exactly does a social media manager do? Manage their social media accounts and post content. Grow their audience and engage with followers. Reputation management helping them with positive and negative reviews (on Yelp for example). Set up "shopping carts" so they can sell their products online. Run promotions, sweepstakes, coupons etc. to collect customer emails for future follow up and promotions (which you can manage as well). Help with new business acquisition and retention (specific to social media). Prepare reports and analytics that show measurable results. Aside from the cost, the big question I had was if they had a strategy to get new clients. None of this works if you don't have customers... so where do you get them? And that's where Social Owls differs from most online business opportunities that keep you at the computer. You get new clients by putting your shoes on and "pounding the pavement". With 10+ years of outside sales experience, my enthusiasm for this is mixed. I have zero interest in doing another sales call (having done tens of thousands)... but at least it would be familiar territory for me. If knocking on doors isn't your thing though... there is an alternative. You can charge your clients a set-up fee and use that to hire a commissioned sales rep... which is a normal expense most of your competitors will likely charge. With a $100 - $200 set-up fee, you can use that to pay your sales rep $100 - $200 for every new client they acquire. In addition you can a offer your reps a retention bonus. This would be a percentage of each client's monthly fee... and incentive to call on them regularly, build a relationship, sell additional services... and most importantly, keep them as a client. And... the Social Owl software has a Sales Agent management tool that does just that. If you're not ready to build a local client base... you can start making some extra money doing simple surveys on sites like surveyjunkie.com and swagbucks.com. As mentioned earlier, you can also create a full-time income from home if you're motivated to start an online business. Just about any business you can think of would be a potential client. Of course... most large businesses will already have a social media manager and strategy, but it's the small and medium businesses, as well as professionals that would be your primary market. Attorneys, accountants, dentists, realitors, insurance agents, personal trainers and tradespeople are all potential clients. Businesses like spas, salons, bars, restaurants, gyms, coffee shops, pet services, automotive repair, wholesalers, hotels, and retailers would be on your prospect list. You're definitely not limited to a specific industry and among the list are countless people who know they need a social presence, but don't have the time or desire to learn. Your income potential is high, but it depends on how hard you hustle... Some are going to sit on this and do very little while others hit the ground running and never look back. Your per-client revenue will likely range between $200 - $400 per month, so if you had 10 clients, you'd be earning between $2000 and $4000 before expenses. About 15 years ago I worked for a company that required us to make 25-30 sales calls per day (in-person visits, not phone calls) ... so I know first hand those numbers are possible. 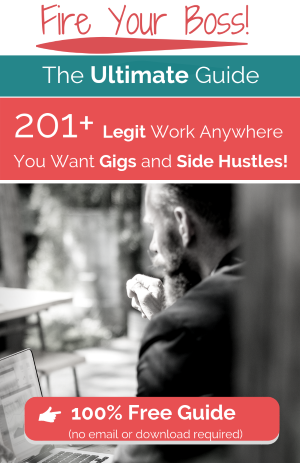 But on average, 30 new clients per month for someone who hustles is not unreasonable. And we haven't even talked about the reseller program yet. So... even if you think my numbers are crazy and impossible to maintain, someone who treats this like a real business should still be able to generate 20-30K/month in revenue within 6 - 12 months of hitting the pavement. There are a couple listed at the Better Business Bureau related to the product or customer service...but no details are given and both have been resolved. Experience and technical know-how are not required. Set your own plans and pricing. 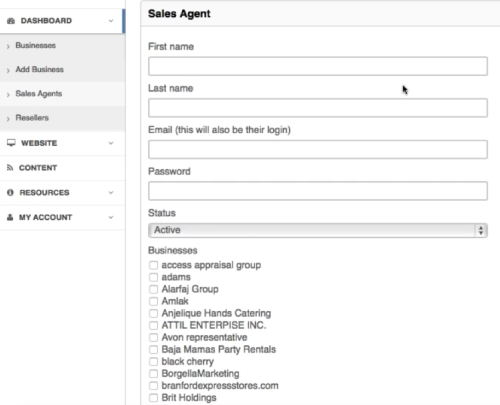 You're creating a residual monthly income and the software makes each client account easy to maintain. Cold calling on local businesses. Social Owl limits the number of licenses they grant for a given territory. It's either that or the potential for over-saturation. This policy is both good and bad, depending on whether you already control your territory. I don't want to criticize the cost because it's more than fair, but it could be a little high for some people... especially if this is their first entrepreneurial adventure. Having said that... one client should cover your monthly cost. Social Media sites don't like it when you use third-party tools to perform automated tasks. Their policies are always changing and over the years I've had a few tools become useless because they no longer worked on the social sites they were designed for. I'm still undecided on Social Owl... for myself. Even if I were to set it up so my daughters could earn some money, it would either be me doing the cold calls, or I'd have to hire a sales rep... neither of which I'm interested in doing right now. But that doesn't mean this isn't a good opportunity. It's not for everyone but if you're looking for a good side hustle that can turn into a full-time thing... Social Owl might be for you. The important thing is that you find something you enjoy doing. What good is being an entrepreneur if you're still unhappy and waking up everyday to do something you hate doing. Turning your passions into a business is what you want and a strategy that allows you to make money in any niche you choose is what you need to get what you want. I’m going to give you a free step by step beginner's guide to making money online in any niche which you can get by clicking HERE. 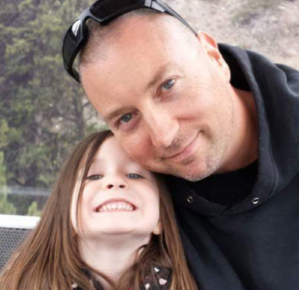 You can also check out my list of 201+ work-at-home jobs and side hustles or earn some quick cash doing surveys with surveyjunkie.com or watching videos, searching the web or visiting websites with swagbucks.com (who even gives you $5 bucks just for signing up). 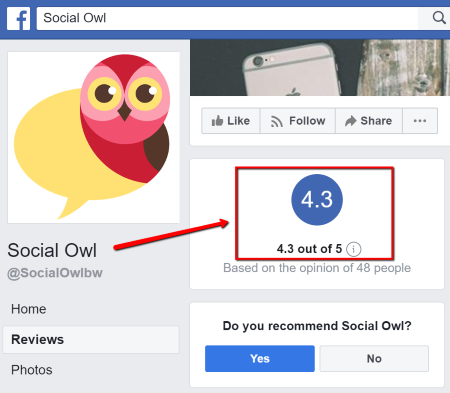 I hope my review has been helpful and if you have any comments, questions, or experience with Social Owl, please share in the comments section below. Hi Crystal, glad to help 🙂 Thanks for taking a moment to share your thoughts.